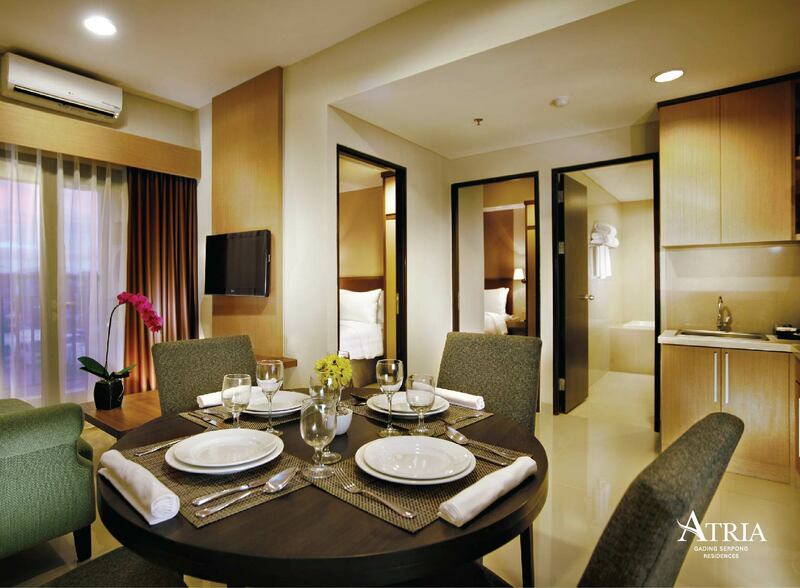 Atria Residences Gading Serpong features 124 spacious appointed hotel rooms and suites, consisting of 80 units of One Bed Room, 41 Two Bed Rooms, 2 Three Bed rooms & 1 Kid Suites for Families as it has a special room & facilities for children. 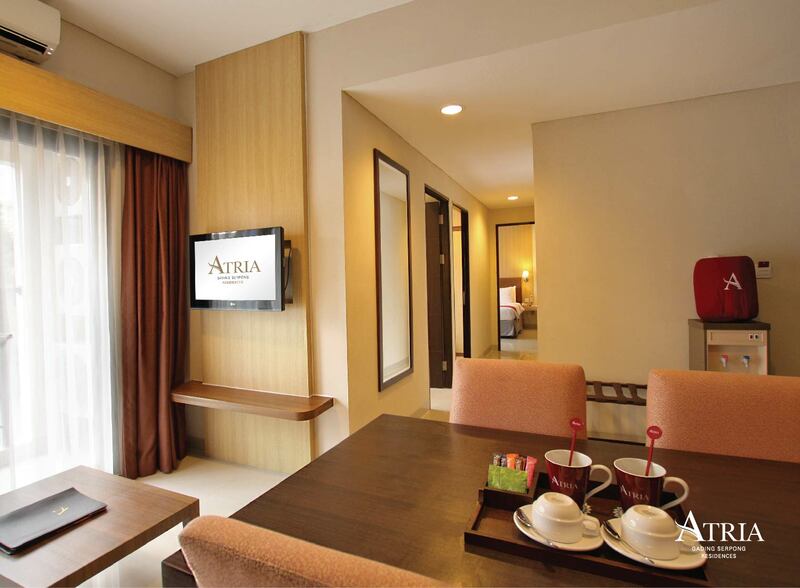 Accommodation at Atria Residences Gading Serpong are equipped with individually controlled air- conditioning, IDD telephone, high speed internet, minibar, in-room safety box, Kitchen Set, Living Room, satelite TV, hairdryer and complimentary tea and coffee amenities. 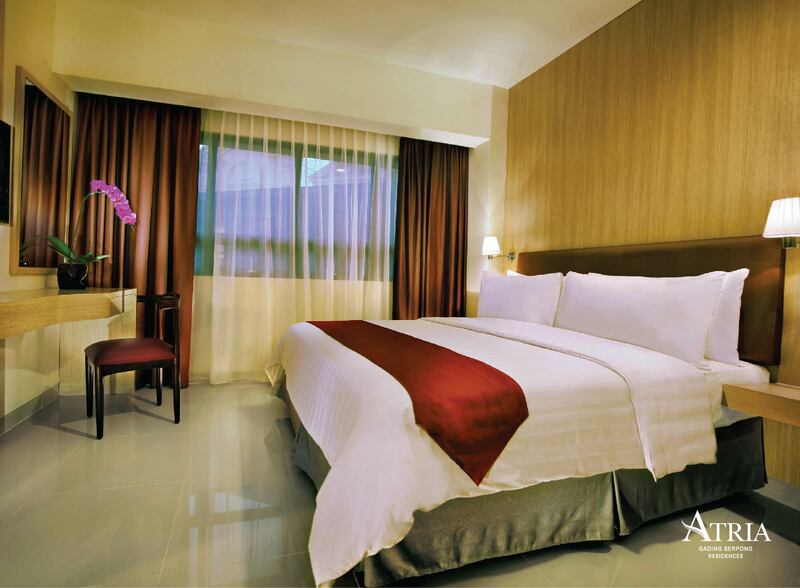 We invite you to experience the perfect choices of residences for business trip, romantic escapes long stay and leisure trip in Serpong.